Images captured using a tethered photography workflow get saved directly onto your computer’s hard drive in the folder of your choice. Tethering software then displays the images on the larger computer or tablet screen as they are captured so you can see them clearly. 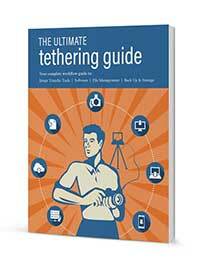 Tethering helps you get the perfect photo in fewer shots. Viewing images on a larger screen is a great way for you and your clients to spot issues with focus, lighting, posing or composition. You’ll spend less time editing and your clients can let you know the moment you’ve captured the shot they are looking for. Check critical focus, composition, styling, etc. Growing demand for tethering has led manufacturers to introduce and improve tethering functionality in many newer cameras. Even so, you should reference your camera manual to confirm that it’s capable of tethering and if so, identify which types of images it’s designed to transfer – JPEG, RAW or both. Look for the phrases Direct Image Transfer and Instant Image Transfer as well as any references to tethering. TetherPro USB cables are constructed to the highest USB specifications and incorporate all of the latest technology ensuring consistent and reliable conductivity for fast and reliable transfers. From free software that may already be included with your camera to super-charged programs that incorporate all your post-production needs into one package, there are a number of software options worth exploring. 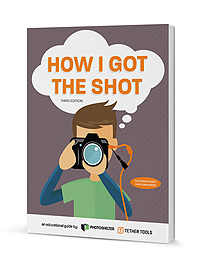 Designed to be the basic package for photographers interested in shooting tethered. The Starter Tethering Kit from Tether Tools will help you seamlessly transition into a tethered workflow and provides the basics you need to get started. 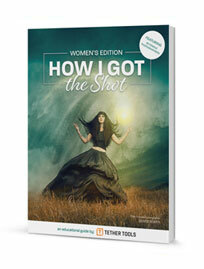 Tether Tools is proud to offer free educational guides to help photographers hone their craft. 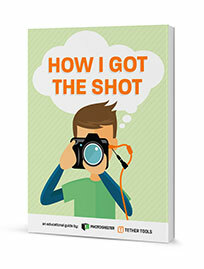 From the very detailed Ultimate Tethering Guide to the more inspirational How I Got the Shot, we have a guide for you. In this seven-email learning series on tethered photography, we’ll dive deep into this topic and provide you with critical tools for your photography career.